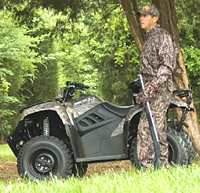 Whether you're moving around the job site, fixing fences on the back 40 or getting to that hard to reach secret fishing hole the MXU 375 won't ever let you down. 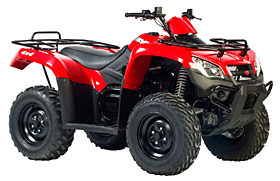 It's shift on a fly 4X4 traction and industry leading Independent Rear Suspension makes even the most severe terrain conditions easy to conquer. It is supported by a One-Year Limited Factory Warranty. 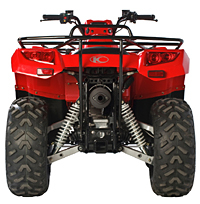 put money in your pocket with every new kymco atv!